Genetically modified corn has become a primary crop in the US. Nearly a majority of plantations for corn make use of GMO corn engineered to carry the Bt toxin. This toxin has proven to control many harmful pests of the crop while reducing the need for chemical insecticides. But a recent study indicates that certain pests that target corn are slowly developing a resistance to the toxin used in GM corn to control them. This may become a cause of concern for farms that use GM corn and their main crop. GM corn is engineered to produce the Bacillus thuringiensis or Bt toxins to control insect pests. But according to a new research paper published in the journal Proceedings of the National Academy of Sciences (PNAS), rootworms in some areas where GM corn is planted are now developing a resistance to two of three available Bt toxins. And since only one or two of these toxins are used per corn variety, the pest resistance has caused damage to corn crops in several areas in the corn belt. Because of this developing resistance to control the rootworms, many farms are now resorting to using harmful insecticides directly applied to soil. What is making matters worse is that the rootworms are developing resistance to two of the three available Bt toxins used in GM corn varieties. 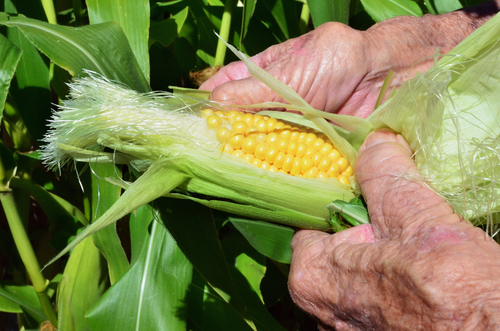 The initial approach was to develop three GM corn varieties that produce three different Bt toxins. The idea was that the Bt corn varieties is cultivated in the same area at the same time to make it less likely for pests to develop resistance. But it seems that the opposite has come true- the rootworms did develop resistance to two of the three available GM corn varieties. That makes only one option available for controlling the pests. The developing resistance to the toxins are causing big problems in the agricultural sector. The PNAS paper also indicates that the resistance to Bt has been spreading since it was discovered in 2009. The level of resistance is further increasing. To curb the impending crisis in pest resistance, the biotech companies are looking at a new strategy- develop new types of controls other than Bt to combat the pests. One potential strategy is the use of a recently discovered type of genetic material called interfering RNA or RNAi. While companies like Monsanto has filed an application for approval at the USDA for exploring the use of RNAi in GM crops. But scientists believe that eventually, rootworms may also develop a resistance to RNAi. Another concern is that using this approach may also cause harm to beneficial insects that help fight of the pests. In order to more effectively control the growing rootworm problem, scientists are recommending a simple and a more common approach- crop rotation. This method involves growing different crops on the same area in succession from one year to the next. This has proven to be more effective in controlling most pests in the same area. In fact, in areas where long crop rotations are used, no chemical pesticides or Bt toxins are needed to control the pests.